Creating the perfect landscape takes time and dedication. That’s why once you’ve found the right look for you, it’s important to be able to sustain lasting beauty. Landscape drainage problems can negatively affect the look, maintenance, and enjoyment of your property. Depending on the subtleties of your landscape, improper drainage can cause a variety of issues both aesthetically and functionally. Low areas may become flooded, creating swampy grass and potentially killing plants. Areas that don’t get as much water can become dry, creating dead spots. 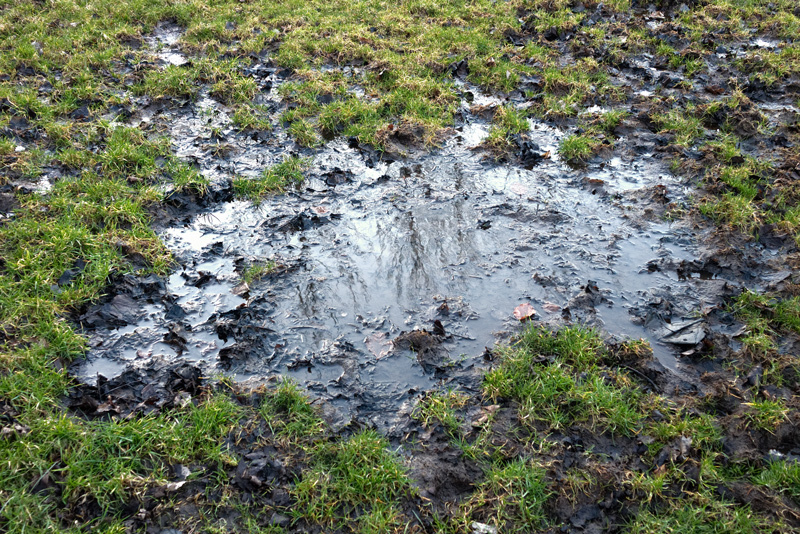 Stagnant water can lead to insect manifestation, as well as unpleasant smells. Even light rains create pools of water for days after. Hillside runoff causing erosion and washing away landscape elements. If any of these issues sound familiar to you, it may be time to investigate a drainage solution that takes advantage of your landscape’s natural curves and slopes, rather than creating more problems for you. One of the main challenges with landscape drainage problems is finding ways to promote proper, even drainage without ruining the beauty of your landscape. Luckily, there are many ways that water can be spread evenly over the yard in a style that compliments the landscape rather than detracts from it. 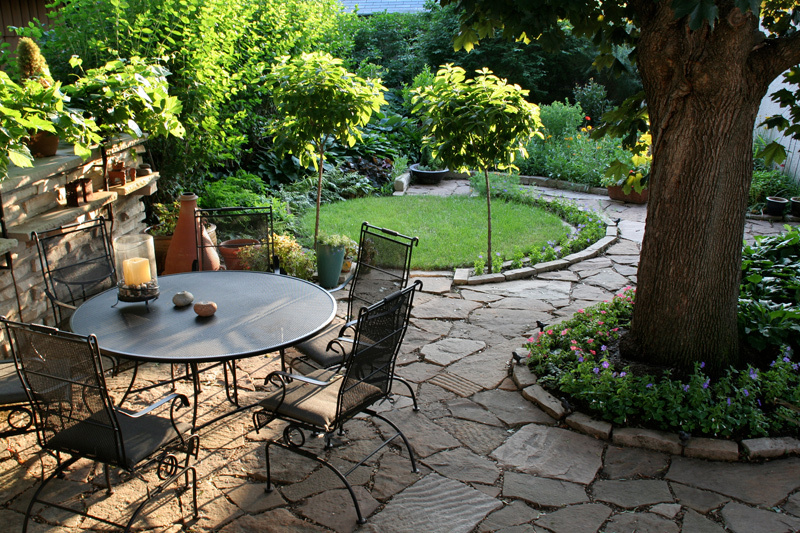 If runoff is a problem in your landscape, adding plants, mulch, and rocks can help absorb water. Also, the roots of trees and plants will help aerate the area and lessen compacted soil. 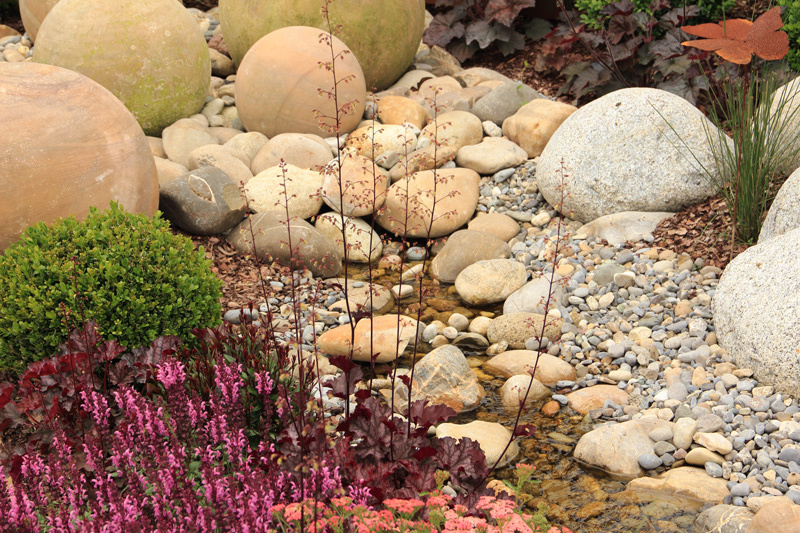 Creating rock creek beds that run through your landscape can offer a customized look and will channel water to specific areas. 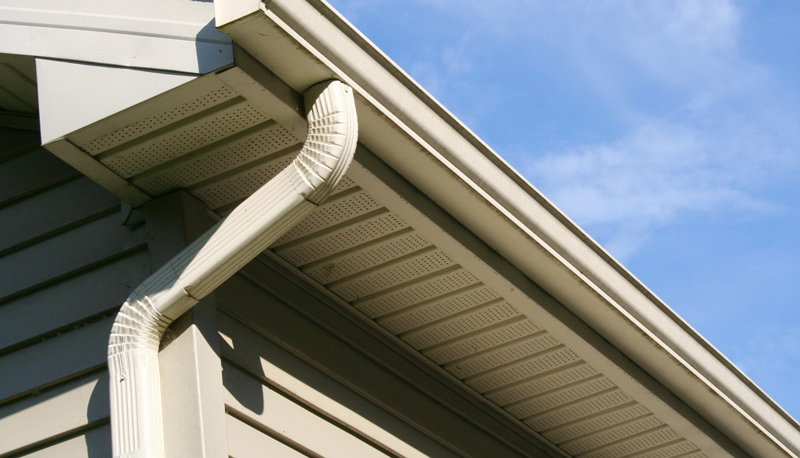 Install new gutters and reroute where water gets deposited in your landscape. The water must have someplace to go. You may only need to extend your downspout. You can hide it with landscape additions like plants and shrubbery. 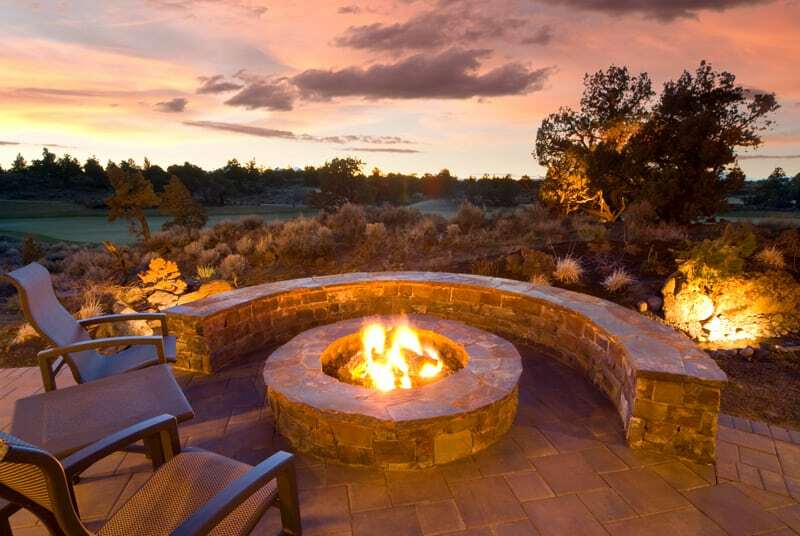 Utilize the idea of zeroscape in some of your most troublesome areas. Zeroscape refers to filling a space with predominantly gravel and dirt while having few or no plants. This is not the most aesthetically pleasing option. 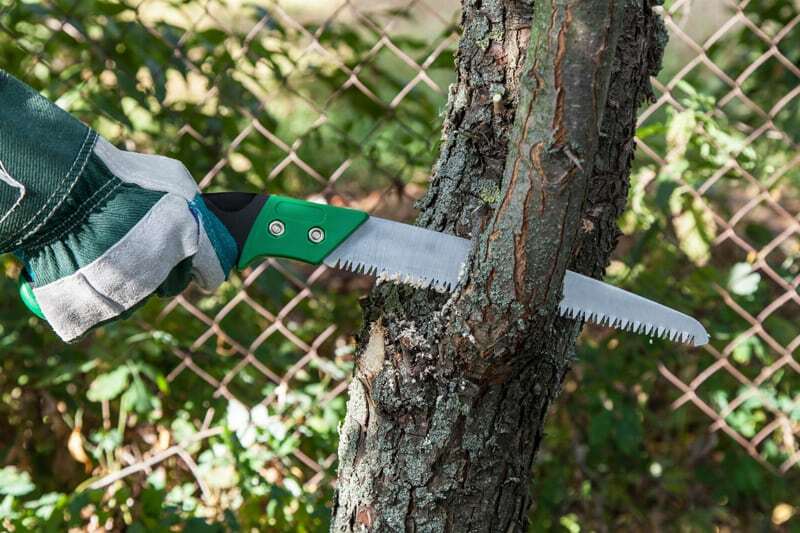 Although it does work well in specific situations such as commercial landscapes and some large residential properties. 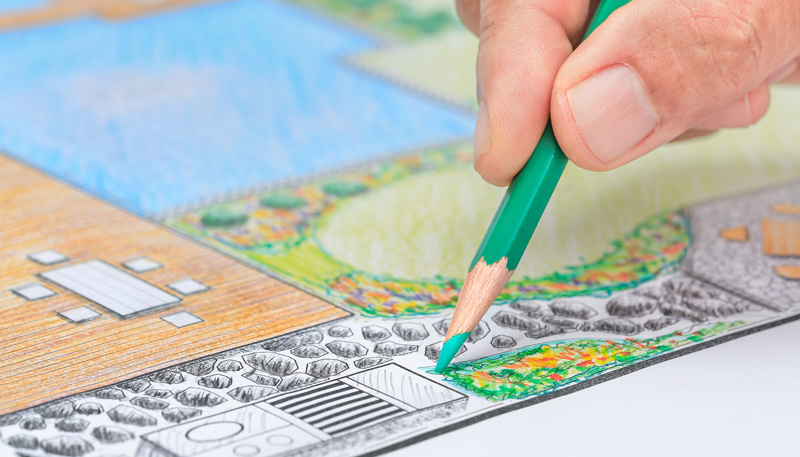 A qualified Landscape Designer will encourage thoughtful planning from the start of a project to ensure proper drainage solutions that look complete. 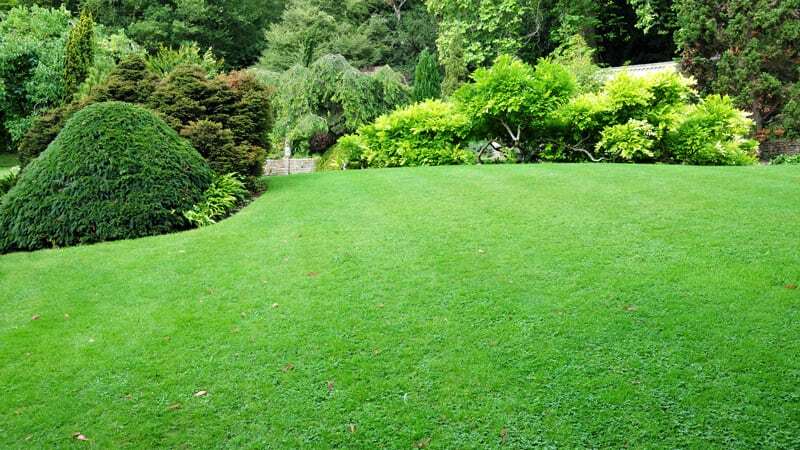 To better understand your options and assess what’s possible for your landscape, you may want to consider hiring a landscape company. A qualified landscape designer will encourage thoughtful planning from the start of a project to ensure proper drainage solutions. Many drainage problems do require a professional. You may need drain pipes, a French drain, or a dry well installed. 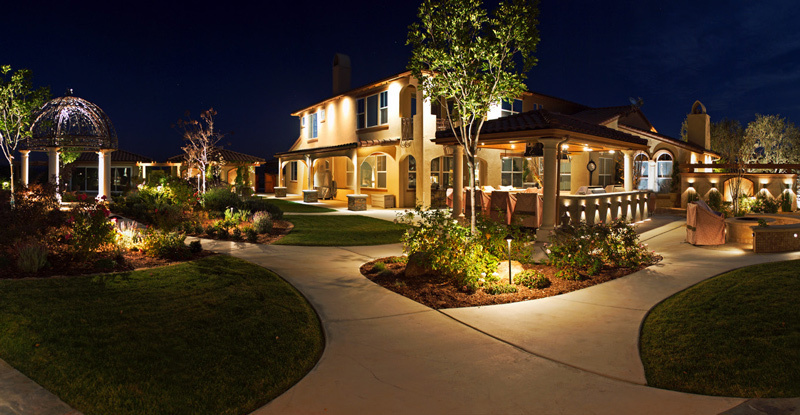 To better understand your options and assess what’s possible for your landscape, you may want to consider hiring a landscape company. At Landscape Solutions, our qualified experts can help you figure out and implement the best ways to improve the drainage of your landscape. To find out more about what’s possible for you, contact us today!